The motorcycle involved. Photo: Sussex Police. An 18-year-old man from Storrington has been left with serious injuries following a motorcycle incident on Saturday morning near Findon, police have said. Police said they were called around 1.12am, along with an ambulance, to the A24 Findon bypass, near the road’s junction with Rogers Lane, where the man’s blue and white Lexmoto 125cc motorcycle had left the road. 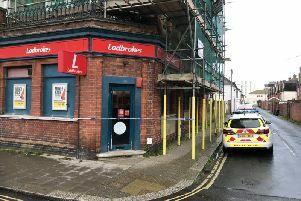 The man was taken to the Royal Sussex County Hospital in Brighton, where he has been detained for treatment to serious chest injuries, according to police. Anyone who saw what happened or who may have seen the motorcycle being ridden shortly before the incident is asked to email collision.appeal@sussex.pnn.police.uk, or phone 101, quoting Operation Hoop.